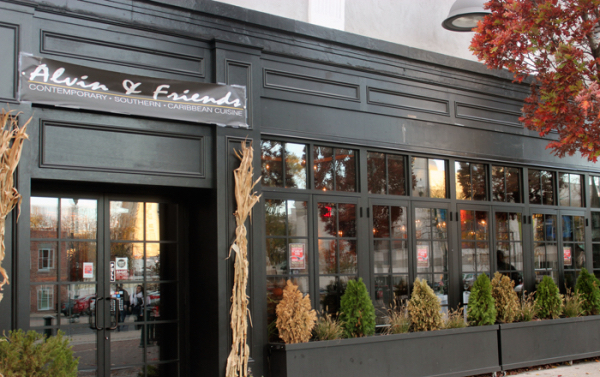 Alvin & Friends Restaurant – Site of the “God, Technology & Us” Book Launch Party! It’s been almost two years worth of work. Now it’s time to celebrate! The launch party for “God, Technology, & Us” will take place tonight at Alvin & Friends Restaurant in New Rochelle, NY. Doors open at 6:30pm. For those who can’t make it, the event will be live-streamed via Periscope. Download the app at the App Store or Google Play Store and follow @bytesandbelief so you can get the notice when the stream goes live (about 7:30pm EST). More the just a party, a portion of the proceeds from this event will be donate to Isaiah’s Room, a food and clothing pantry that serves the people of New Rochelle, NY. It’s funny. When I started writing this book, I never really thought about having an event like this. In fact, when the book was finished, I actually had to be convinced to have a launch party. I’m not that big on things like this and planned to just go out to nice dinner to “celebrate” the release of the book. Then I thought about all of the people who helped me during the writing and editing process. I also thought about how my wife, family, and friends patiently listened as I talked on and on about some point I was trying to make in the book. (It’s amazing how when you’re so focused on a single topic, EVERYTHING seems to be related to it). I know I must have been a bit trying for them to hear me drone on and on – asking them for opinions and suggestions. Therefore, I decided to have the party. Not to pat myself on the back, but to use as a way to thank all the people who supported me through the creation of “God, Technology, & Us”. Posted on October 27, 2015 by bbblggr. This entry was posted in God, Technology, & Us, Uncategorized. Bookmark the permalink.